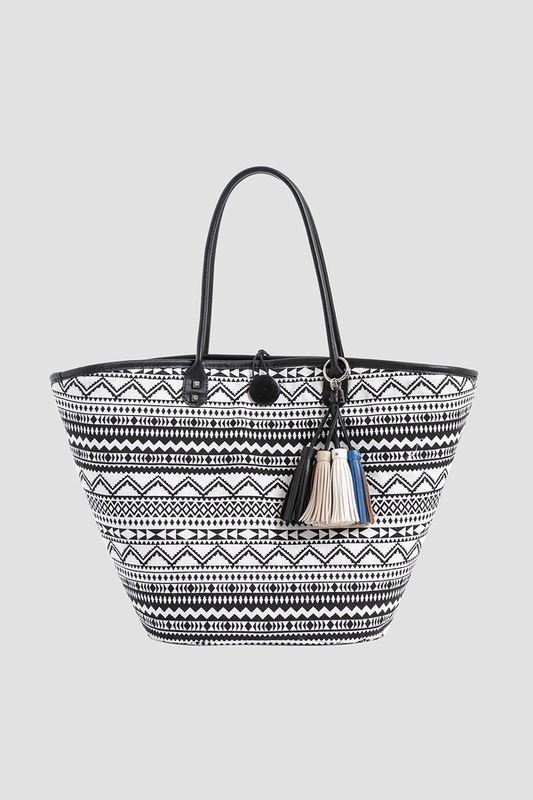 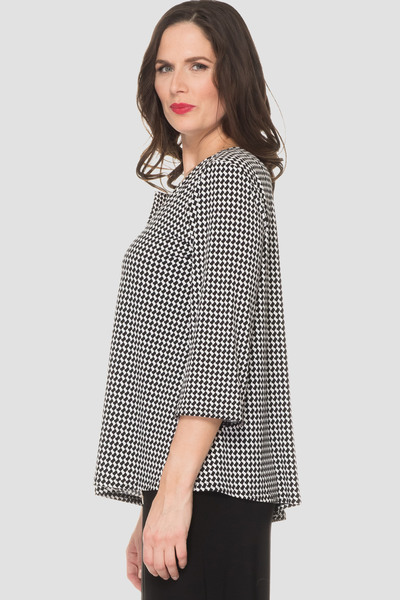 Our model is 5'10"/178 cm and wears a size 6. 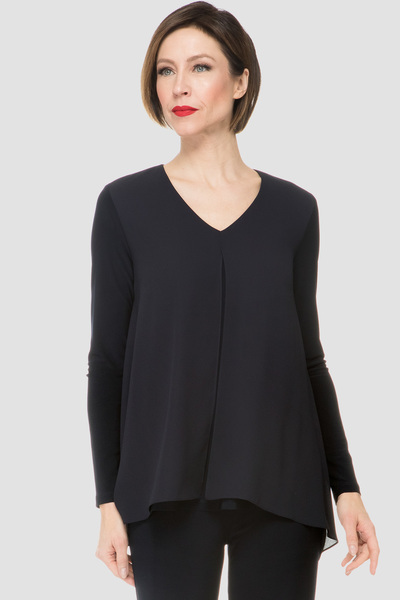 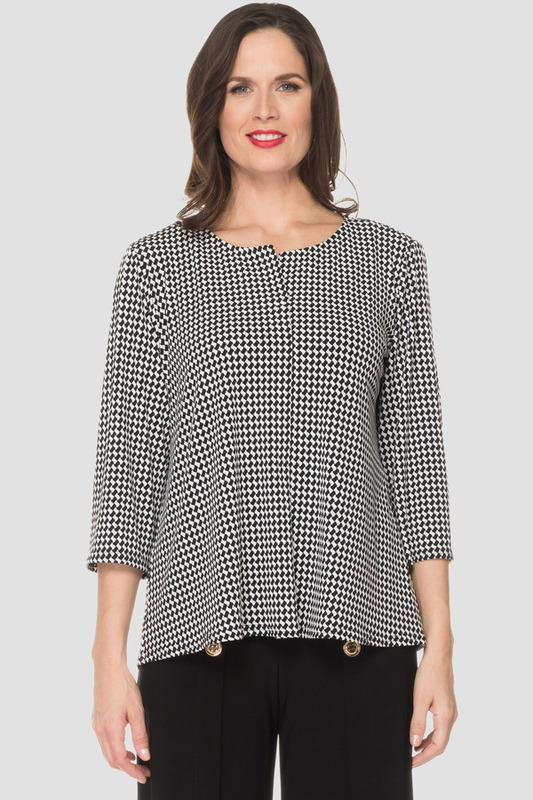 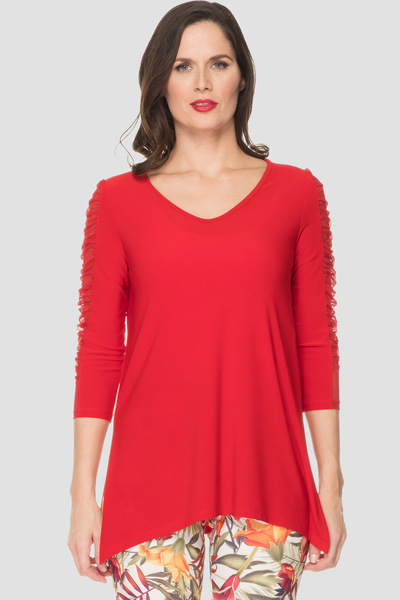 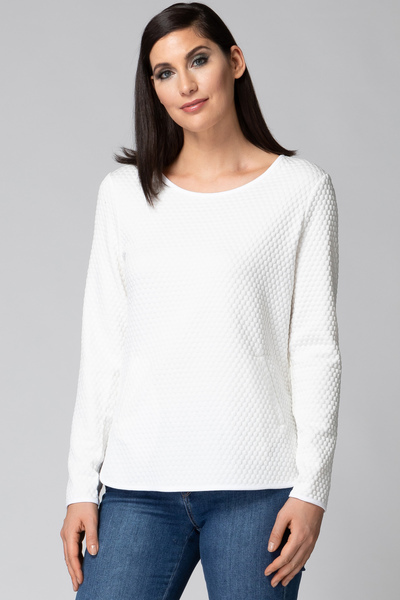 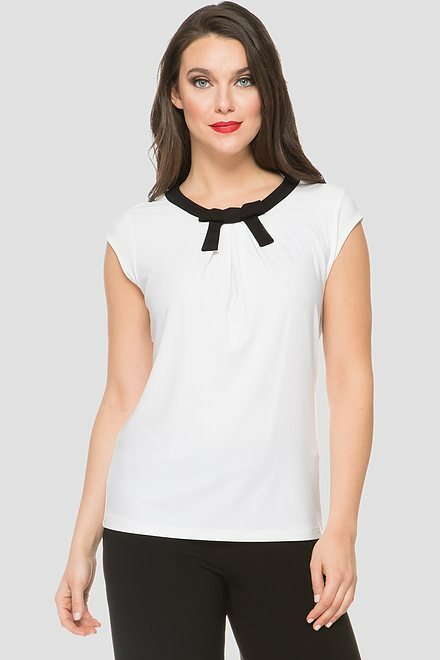 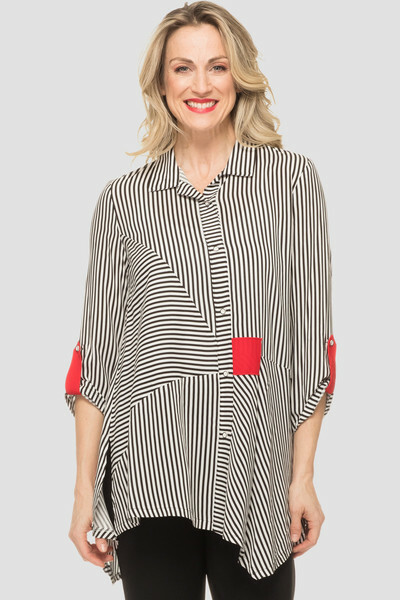 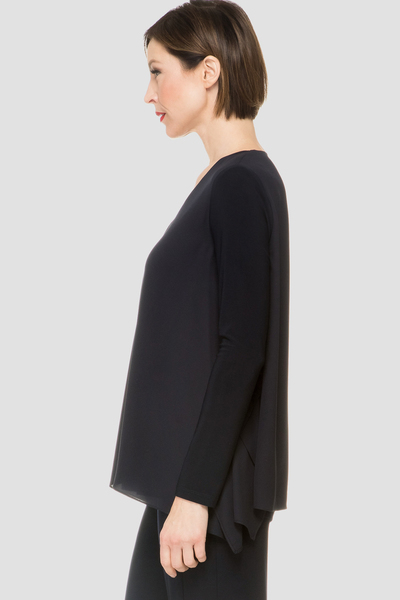 With relaxed fit throughout, this Joseph Ribkoff designed top comes with split rounded neckline, three-quarter length sleeves and check pattern in high-contrast colors. 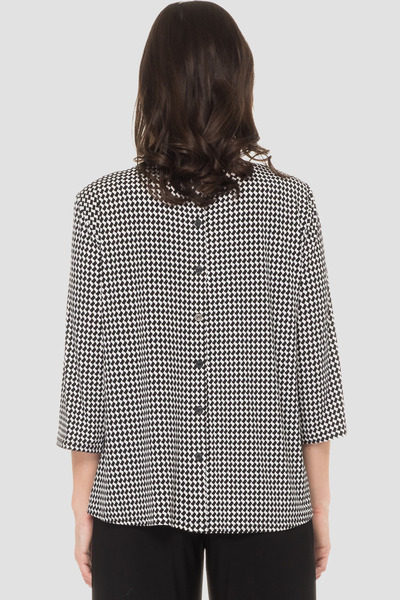 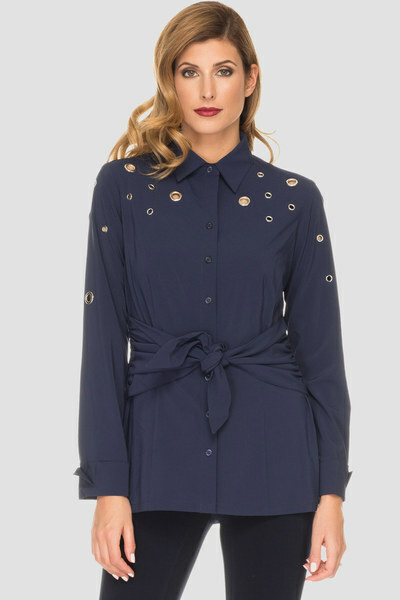 The rear of the garment includes button details.